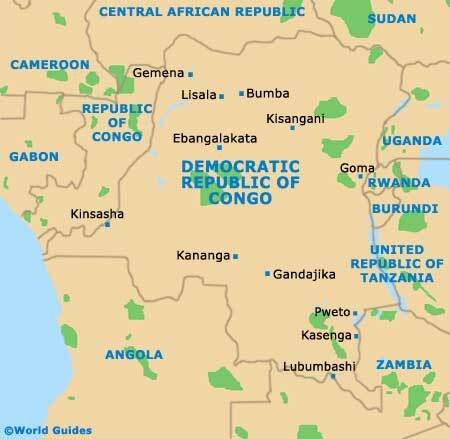 The Democratic Republic of the Congo enjoys a tropical climate. There is little variation in terms of weather. On the whole, temperatures remain high throughout the year, as does humidity. This is particularly the case in those parts of the Democratic Republic of the Congo which lie around the equator. 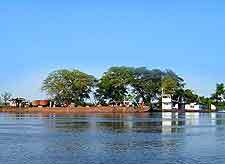 Climate does vary depending on whether you're visiting the Congo River basin area, the southern uplands or the highland region. The mountain regions tend to be a little cooler than the equatorial forest regions. However, it's safe to say that temperatures will be high throughout the year, with averages of between 29°C / 84°F and 31°C / 88°F. Hours of sunshine also remain fairly consistent, with between four and six hours per day in most parts of the country. The seasonal rainfall pattern really does depend on whether you're visiting a region that lies north or south of the equator. 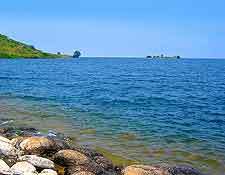 Wherever you're planning to visit, however, the climate will be characterized by a long rainy season, followed by a much shorter dry season.